At Central Co-op, we love our Washington farmers, but not all of our yummy and nutritious produce is grown on a farm. Some of it comes to us through a process that goes back to the advent of humankind: gathering! Every spring you’ll find interesting gathered food in our Produce Department courtesy of Mikuni Wild Harvest, a Seattle company which specializes in bringing us the edible plants that Mother Nature grows on her own. (mi-kuni) is the fusion of two Japanese words meaning “beautiful forest,” which the company’s founders chose to honor the environment in which most of their products grow. Mikuni started with three people exporting mushrooms to Japan from their basement office. In 2001 they changed focus to develop a line of sustainable wild foods for restaurants and retailers like Central Co-op. 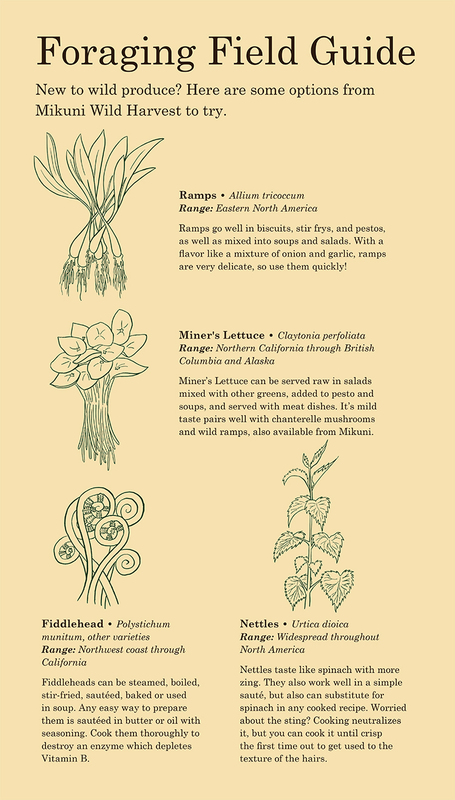 Although they have now grown into a larger team with distribution centers throughout Canada and the United States, they still retain the enthusiasm for wild food gathering that inspired them to start foraging in the first place. Mikuni provides the Co-op with an ever-changing selection of wild foods throughout the spring, including ramps, nettles, miner’s lettuce, mustard greens, watercress, sorrel and a wide array of mushrooms, including lobster, puffball, hedgehog, black trumpet and chanterelles. 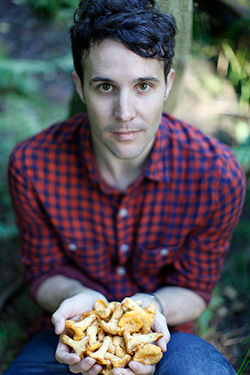 Members can join us for an Evening with Mikuni WIld Harvest for a discussion and tasting of some of the amazing greens and fungi they forage in the Pacific Northwest. Space is limited so RSVP early!